Whether a glass is half full or half empty is a matter of perspective. Perspective also plays a major role here. At first the houses seem to be three-dimensional, but when you look closer you’ll see that they're two-dimensional. The changing perspectives work as an optical illusion. The work was inspired by Einstein's theory of relativity: you, as an observer, influence the event. The work is also a view of the city: the houses have depth, they are part of a city with all kinds of perspectives. 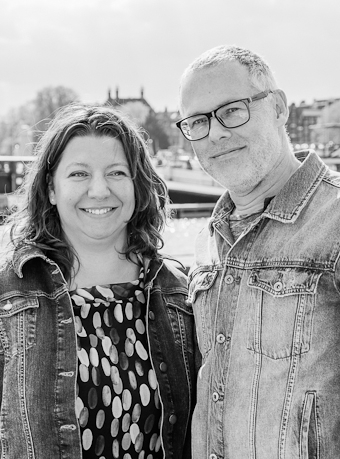 Berry van Egten (NL) and Ellen Goulmy (NL) founded the Lighting Design Academy in Amersfoort in 1993. You can specialize in a wide range of subjects, from LED light and daylight to light software. Together with a group of students from the academy they designed the installation.